South Bend Drunk Driving (DUI, DWI, OWI) and Drunk Boating (BWI, BUI) Attorney and Criminal Defense Lawyer Paul Stanko is a former Superior Court Judge and prosecutor with over 30 years experience in criminal law. He represents persons accused of drunk driving, drunk boating, and other crimes throughout all of Indiana. Appeals Lawyers: A challenge to a previous legal determination. 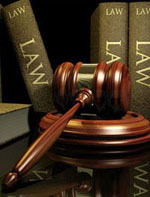 An appeal is directed towards a legal power higher than the power making the challenged determination. In most states and the federal system, trial court determinations can be appealed in appeals courts, and appeals court decisions can be appealed in a supreme court. The person pursuing an appeal is called an appellant, while the person defending the lower court’s ruling is the appellee. Appeals can be either discretionary or of right. An appeal of right is one that the higher court must hear, if the losing party demands it, while a discretionary appeal is one that the higher court may, but does not have to, consider. For example, in the federal system, there is an appeal of right from the District Court to the Court of Appeals, but appeals from the Court of Appeals to the Supreme Court are discretionary. Drug Charges Lawyers: Certain illicit drugs, such as cocaine and methamphetamine, are restricted at both the federal and state level. This includes the manufacturing, cultivation, trafficking, distribution and possession of these substances. Conviction on drug charges often carries stiff sentences, including prison time, but sometimes prosecutors will offer plea deals to lower-level offenders in exchange for help with a larger case. Some states have enacted medical marijuana laws, allowing physicians to recommend the drug for certain illnesses while exempting qualified patients from criminal prosecution on marijuana-related drug charges. Other states have legalized marijuana for recreational use. The following articles pertain to drug charges and their respective sentences upon conviction. As with any criminal charge, the assistance of an experienced criminal defense lawyer is indispensable if you're facing drug charges. Besides the criminal penalties involved, a conviction can lead to many negative consequences, such as difficulties in obtaining employment. A qualified criminal defense attorney in your area can provide you much needed legal advice and representation in a court of law. DUI DWI Lawyers: Should you ever find yourself faced with a DUI or DWI arrest, your first step should be to hire the services of a DUI or DWI attorney. DUI attorneys and DWI lawyers are highly trained in the DUI and DWI laws of your state, and often they can lessen your fines or penalties. Beware of offers such as a free drug and alcohol test—nothing related to DUIs is free, except for maybe time spent in prison. Being convicted of driving under the influence can also impact your life in ways you may not be aware of, including loss of employment, prevention of employment in certain jobs, higher insurance rates, serious financial setbacks, personal and family embarrassment, and having that conviction on your driving records for years―if not forever. Whether called a DUI or a DWI in your state, DMV.org shows you what the penalties will be for driving under the influence and how it will affect your driving privilege. We'll also lead you to attorneys who specialize in handling DUI or DWI cases in your state, in case you are looking for legal representation. The Grisham law Firm, P.C.